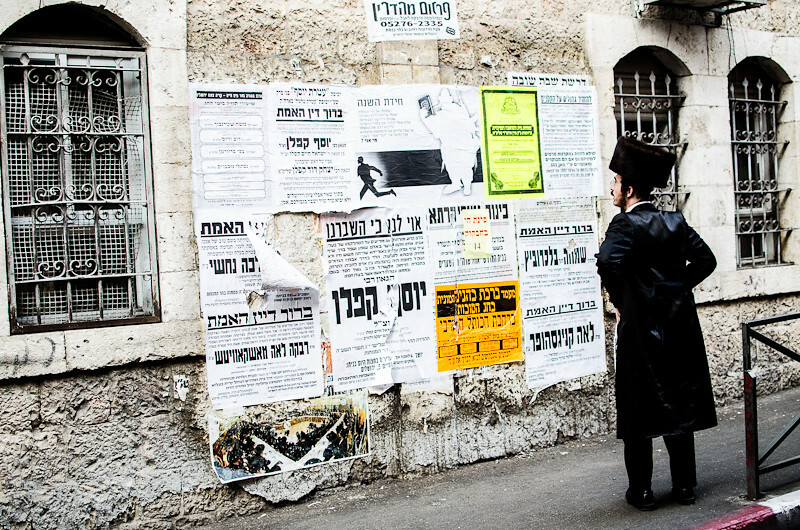 Mea She'arim is one of the oldest Jewish neighborhoods in Jerusalem, Israel. 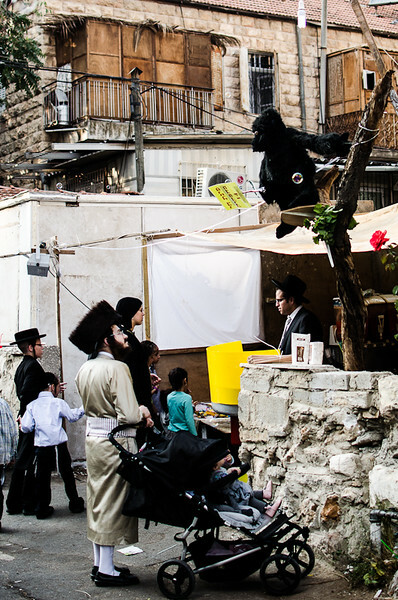 It is populated mainly by Haredi Jews and was built by the original settlers of the Old Yishuv. 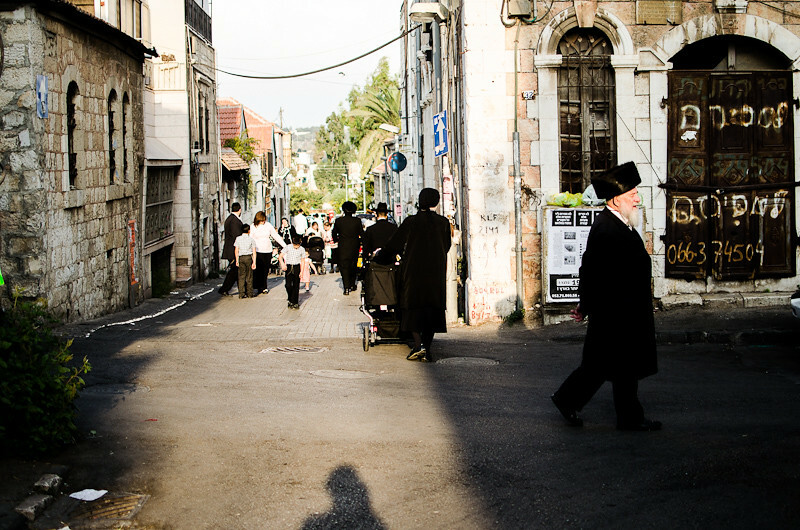 Mea She'arim was established by the community in 1874 with the goal of improving their standards of living. 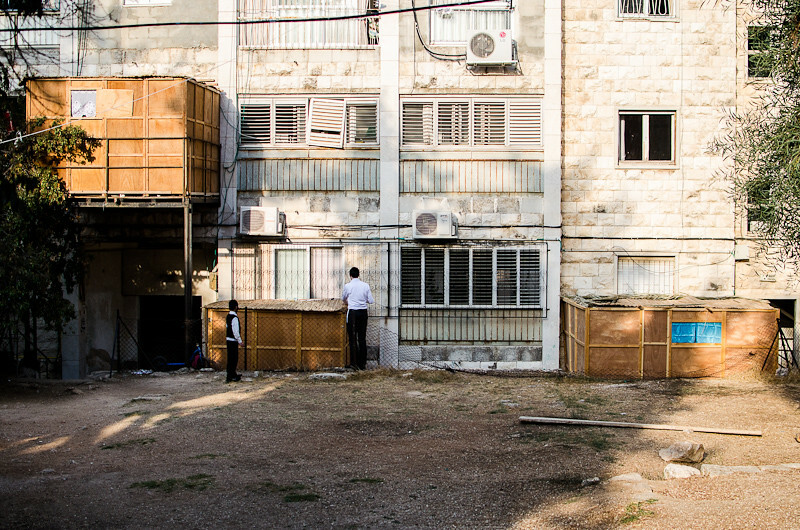 By October 1880, 100 apartments were ready for occupancy and a lottery was held to assign them to families. 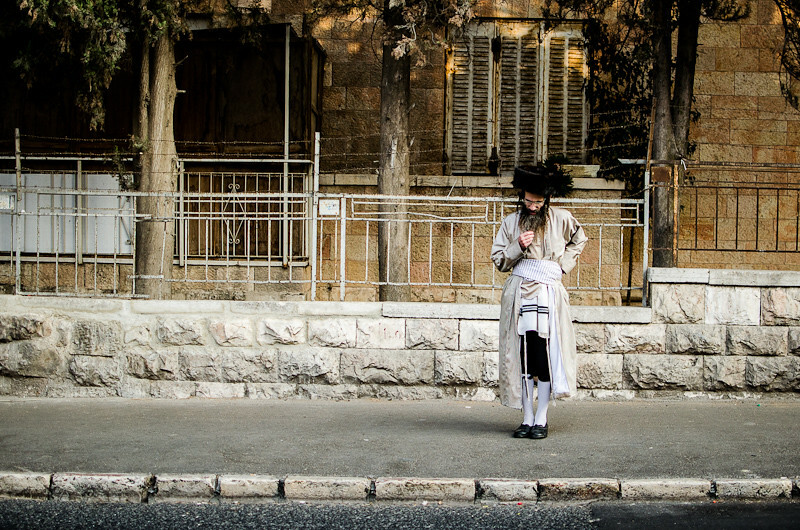 Today, Mea She'arim remains an insular neighbourhood in the heart ofJerusalem. 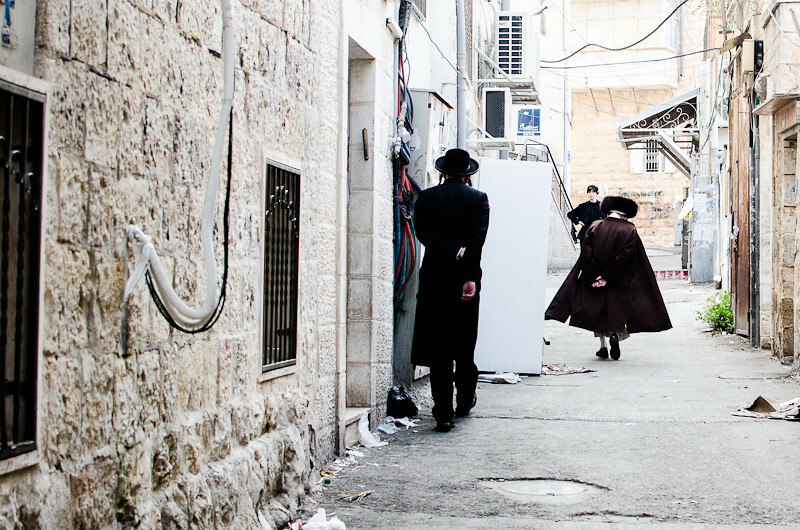 With its Haredi and overwhelmingly life revolves around strict adherence to Jewish law, prayer, and the study of Jewish religious texts. 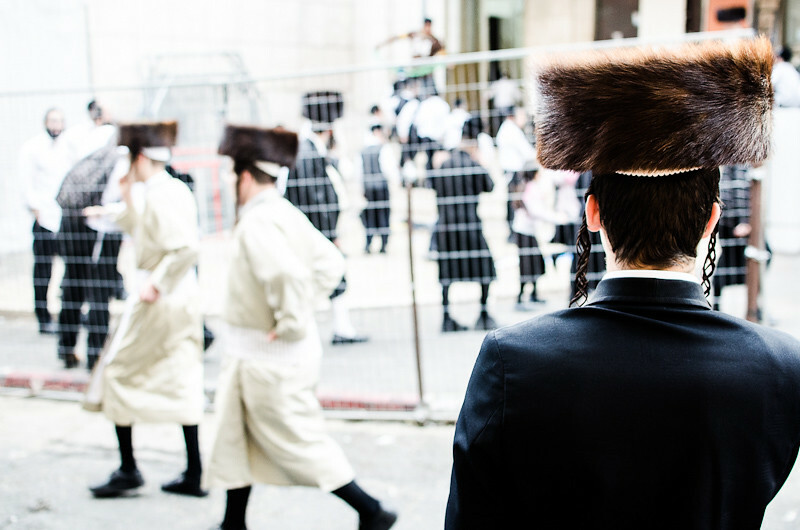 Traditions in dress include black frock coats and black hats for men (although there are some other clothing styles, depending on the religious sub-group to which they belong), and long-sleeved, modest clothing for women. 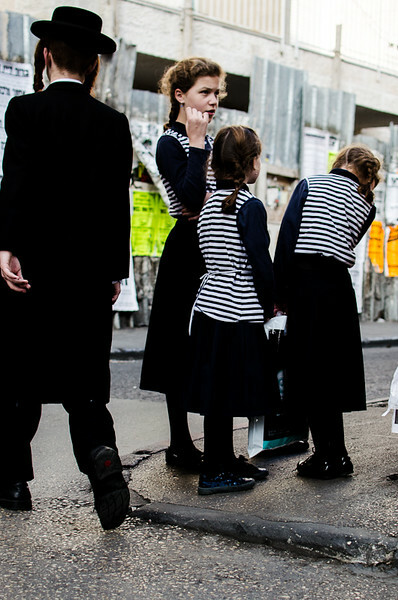 In some Hasidic groups, the women wear thick black stockings all year long, even in summer. 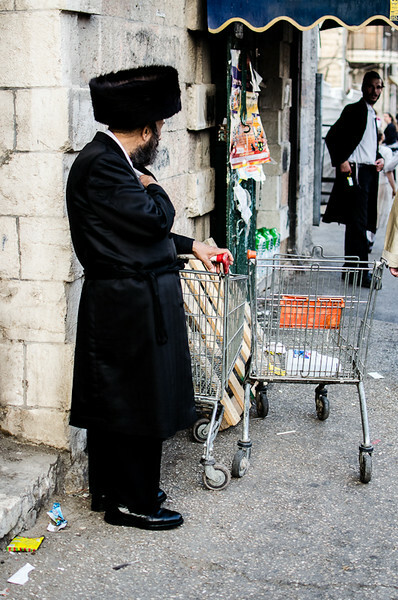 Married women wear a variety of haircoverings, from wigs to scarves and snoods. 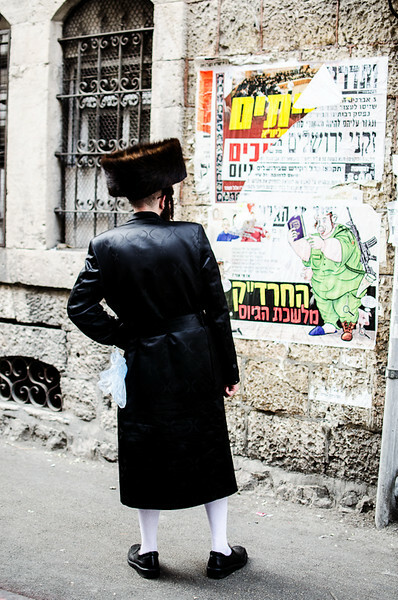 The men have beards and many grow long sidecurls, called peyos. 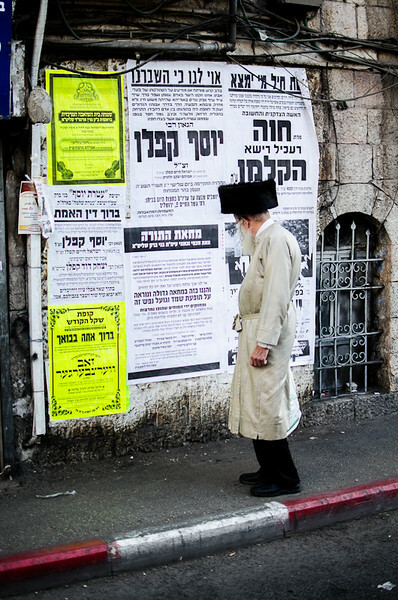 The residents speak Yiddish in their daily lives, and use Hebrew only for prayer and religious study, as they believe Hebrew to be a sacred language only to be used for religious purposes. 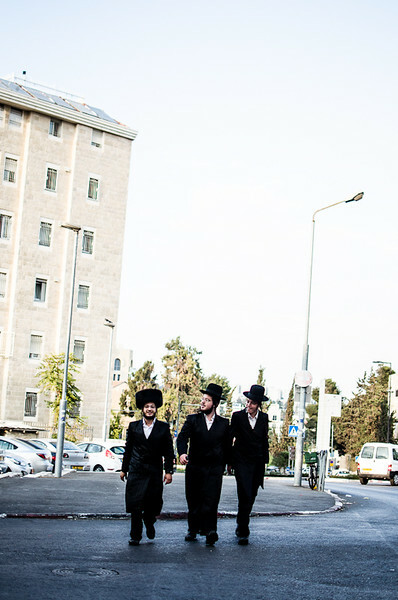 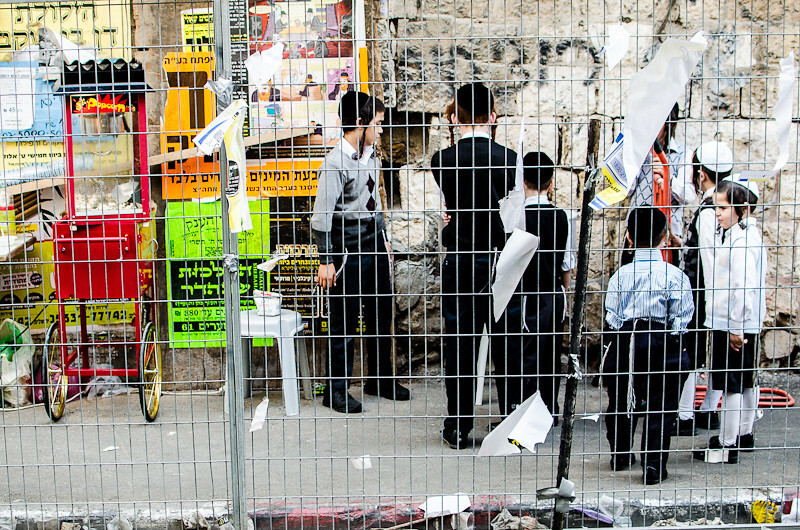 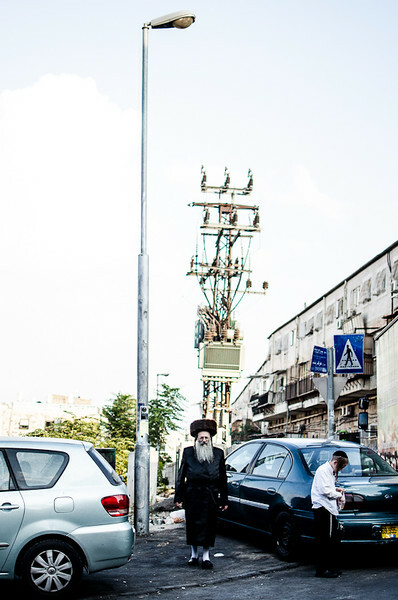 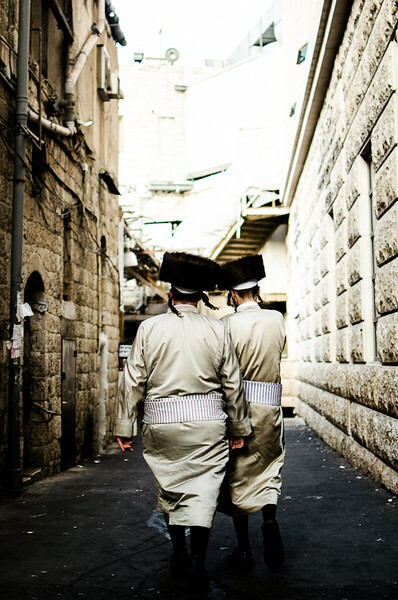 In 2009, Haredi Jews represented about 10% of the population of Israel but their number is rising rapidly. 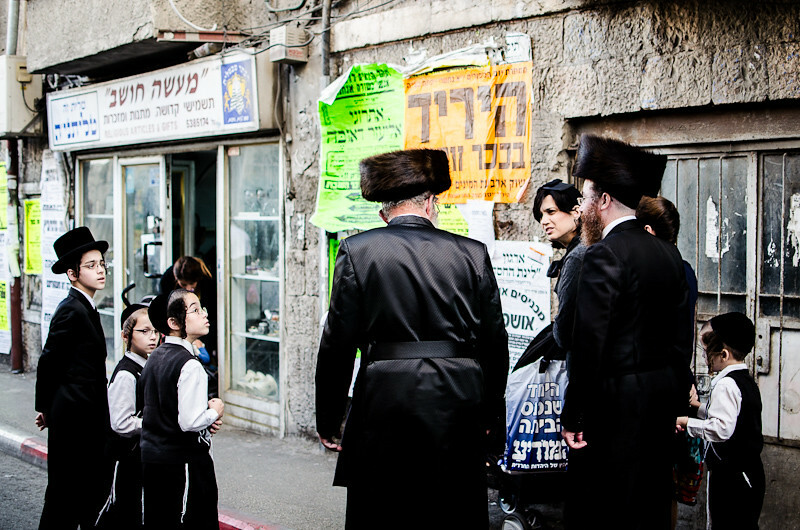 Indeed, the number of children per woman is 6.2!